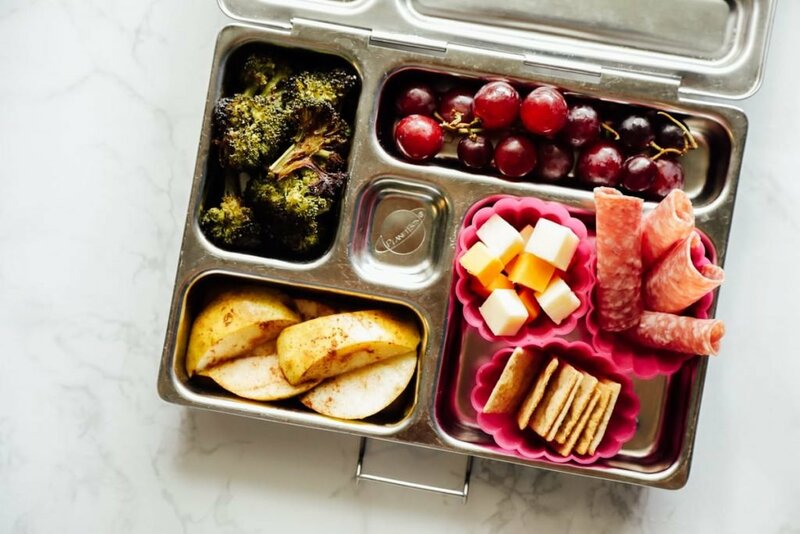 The other day we talked about (real food) school lunch ideas. 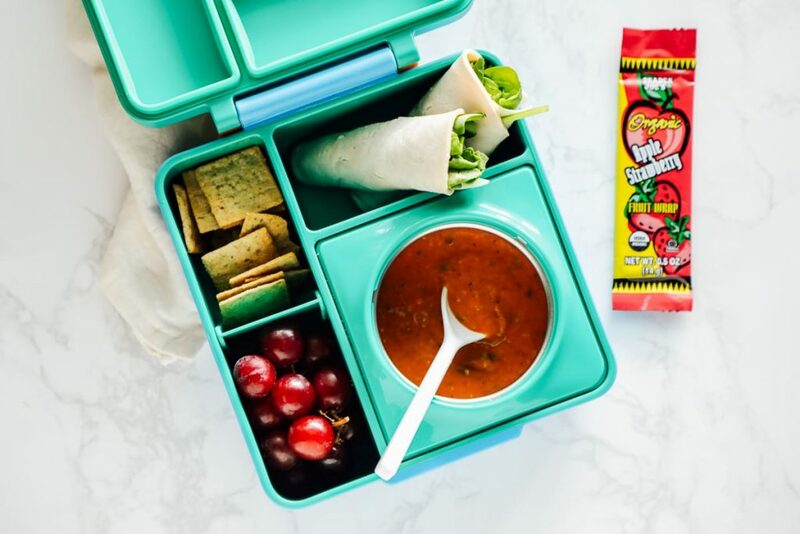 Are you feeling more prepared to pack school lunch this year after that chat? I hope so. 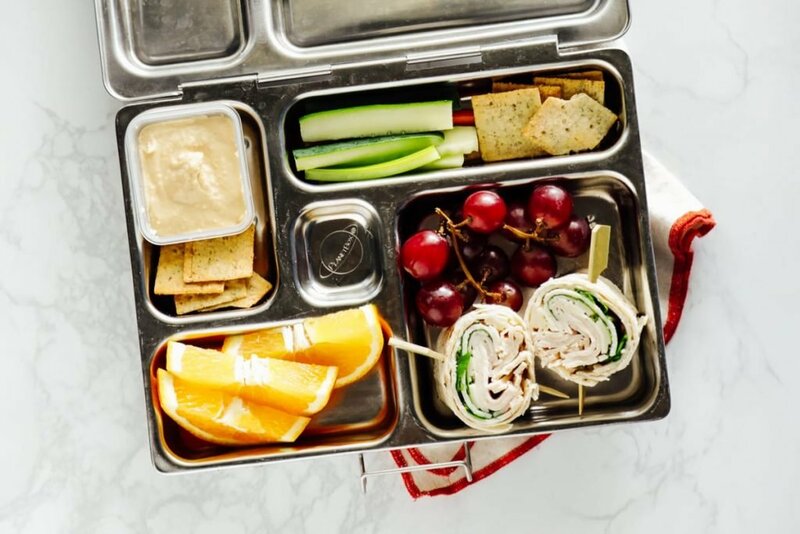 Today we’re going to talk about 10 more lunch ideas. And my goal is to continue sharing these ideas throughout the school year. 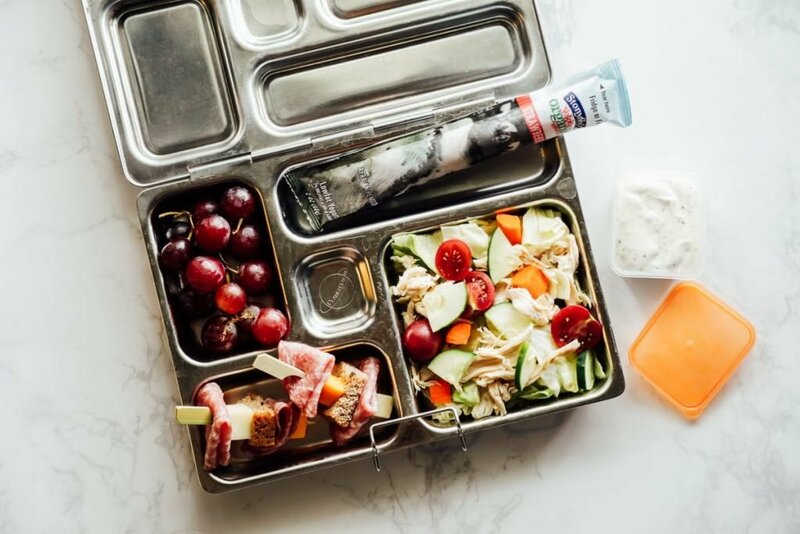 While I say that 10 photos is two weeks worth of school lunches, it’s actually more than that if you use a rotational meal system and repeat lunches. There’s no need to serve a different lunch every single day of the week. Let’s say it together: Repeat, repeat, repeat. There’s no shame in doing this. In fact, I think doing so is smart and strategic. My kids have yet to complain about repeats. And if they do, they can start taking over more of the lunch-packing responsibilities. 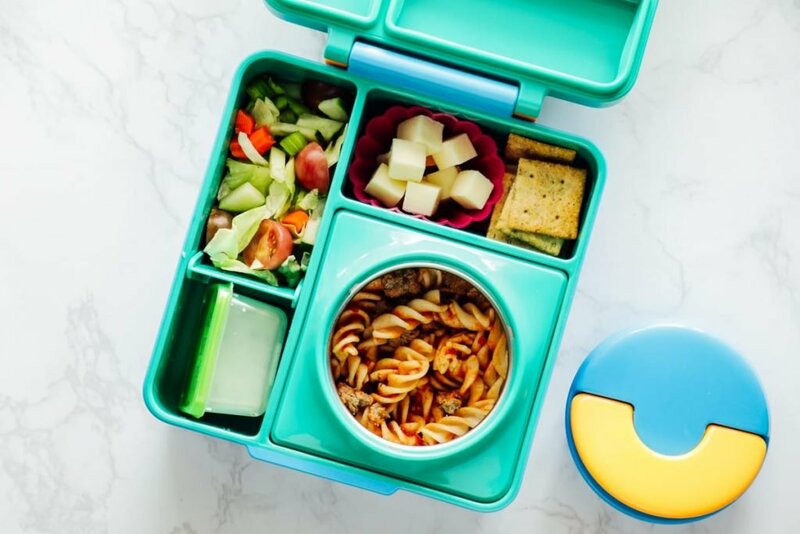 If we approach a list of 10 meal ideas with a repeat mantra, then there’s way more than two week’s worth of lunch ideas listed here. 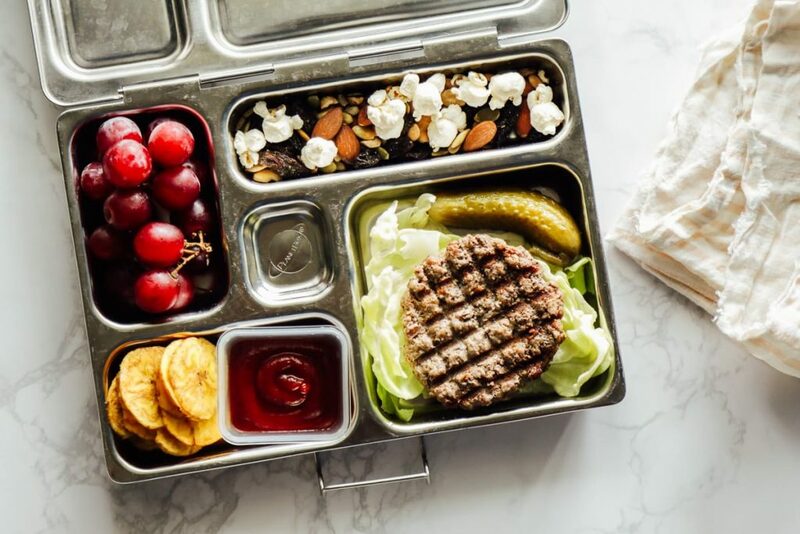 Plus, if you mix and match meal components versus looking at these boxes as one single lunch, we’ll get even more uses out of the ideas. Something I’ve found helpful is to write down a list of ideas divided by category: main, fruit, veggie, and crunchy/snacky. 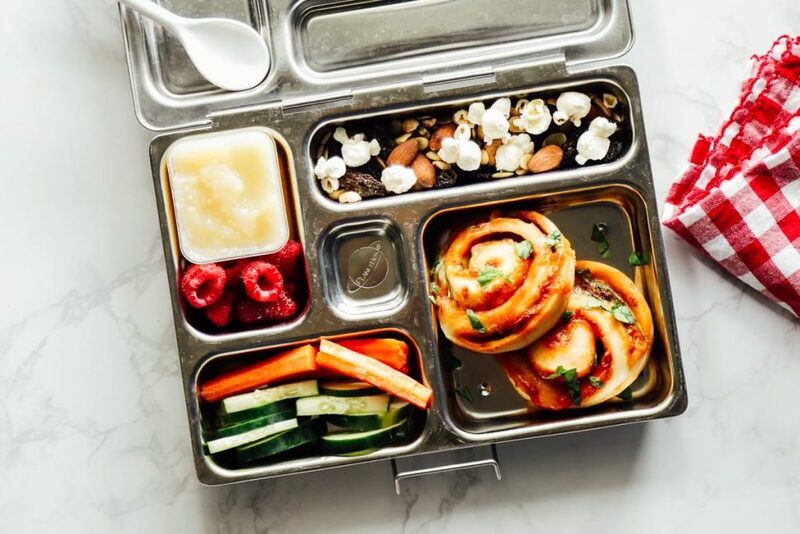 Sort your school lunch ideas using these categories. For a starter, you can use the ideas shared in today’s post, the post from the other day, and the post shared last year. Then add your own ideas. 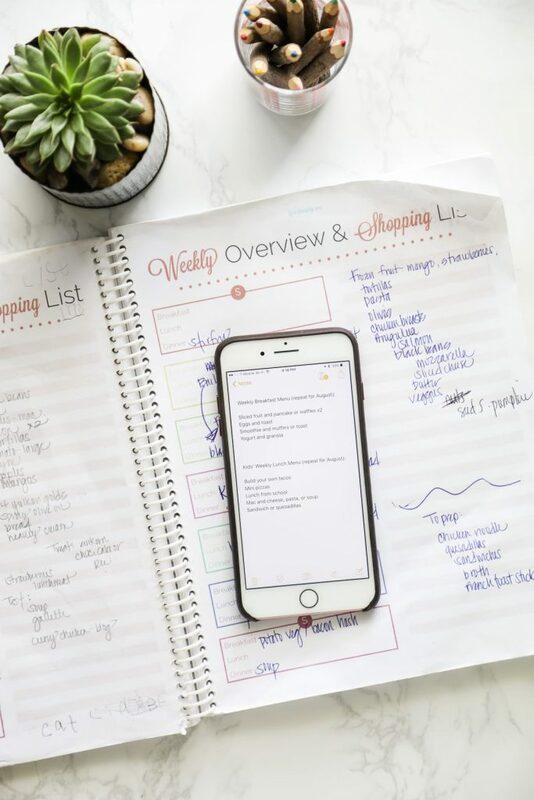 Keep this list somewhere visible and make it an on-going list throughout the year. 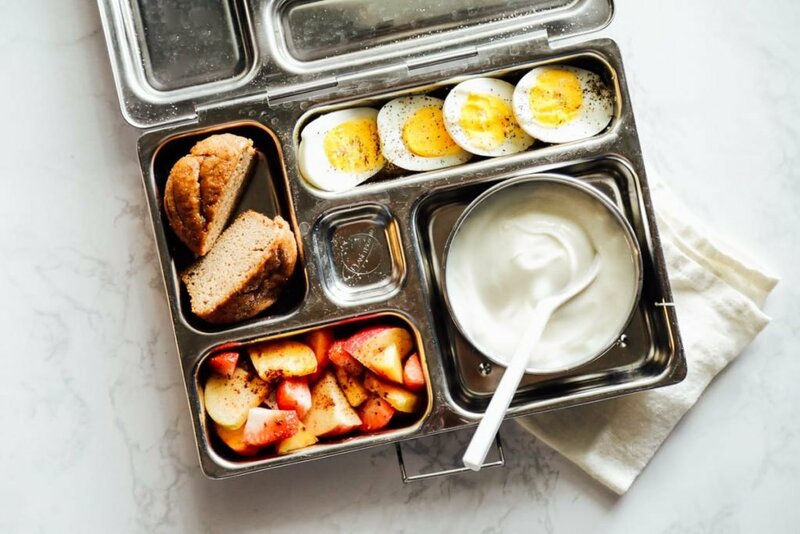 Think of this list as a favorite or master idea list for lunch, much like the favorite list you’ve created to simplify breakfast and dinner meal planning. 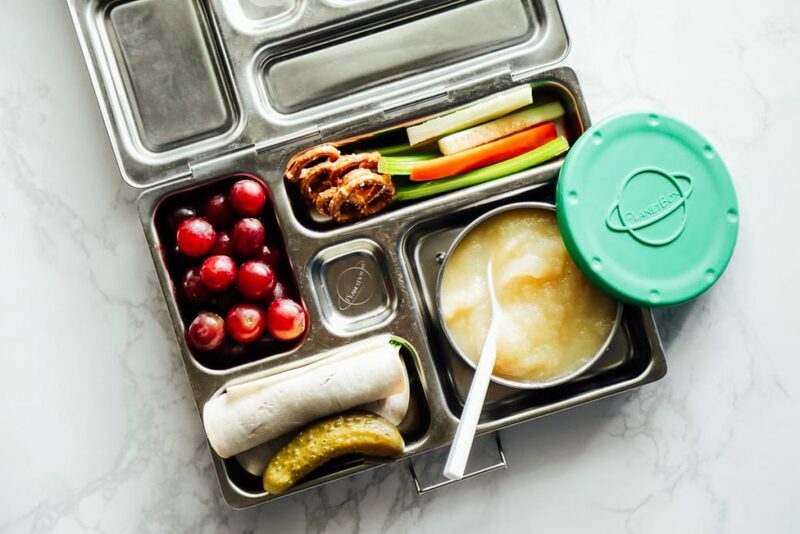 When it comes to actually using this list to simplify lunch packing, pick just a few options to rotate during a set period of time. 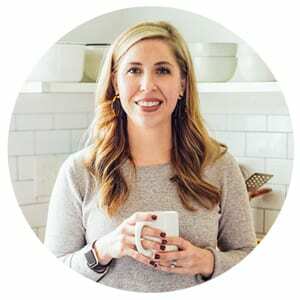 Doing this will eliminate decision fatigue, which occurs when you’re constantly in the state of having to make decisions. 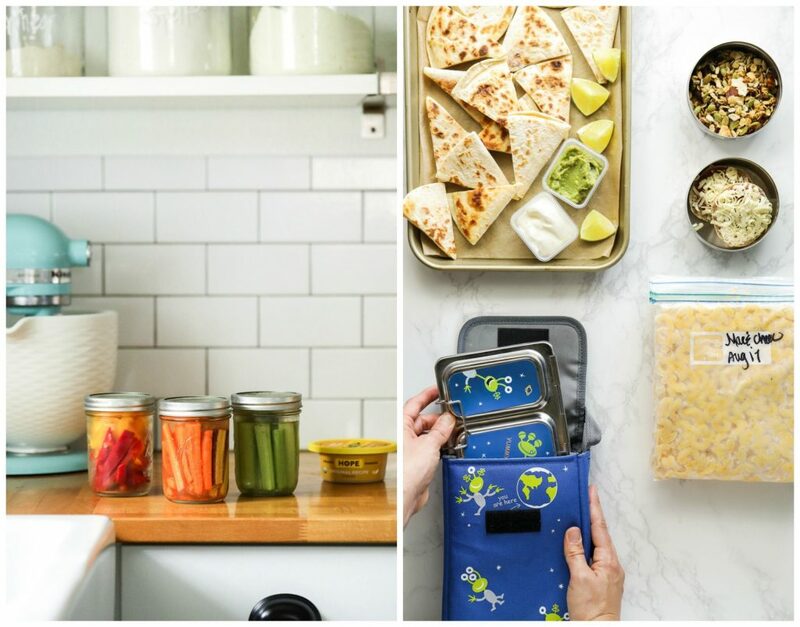 By choosing exactly what you’ll pack in advance, and then rotating these choices, you’ll be able to quickly and even happily pack lunches without feeling overwhelmed. 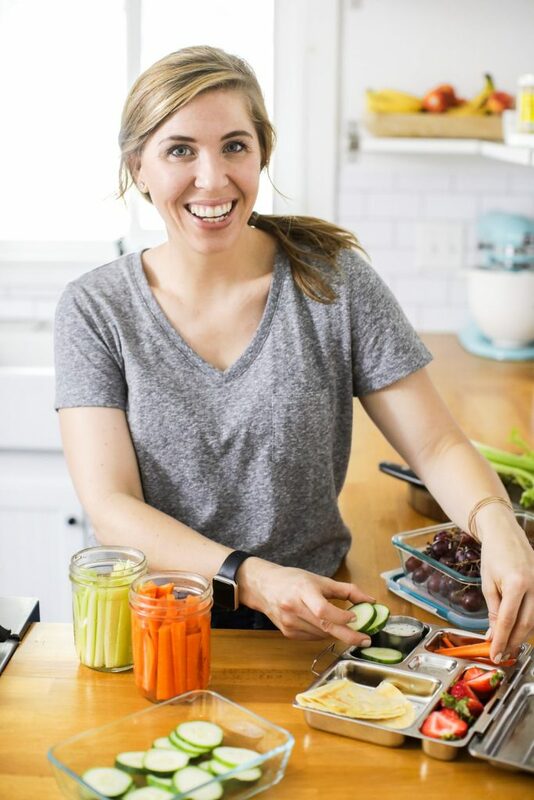 Choose 3 mains to serve each week for a set period of time (maybe 2 weeks, or longer), and choose a few sides you can serve with the mains (fruit, veggie, and something fun/crunchy/snacky)–this may be more seasonal. Then stick with this menu for your set period of time, rotating the same meals over and over. You can certainly add variety by rotating what is served with the mains based on the seasonality of produce. The point is to create a practical plan and stick to it. Eliminate the need to make decisions about what to pack from your morning routine. PlanetBox Rover: I’m still using the PlanetBox Rover for both kids. 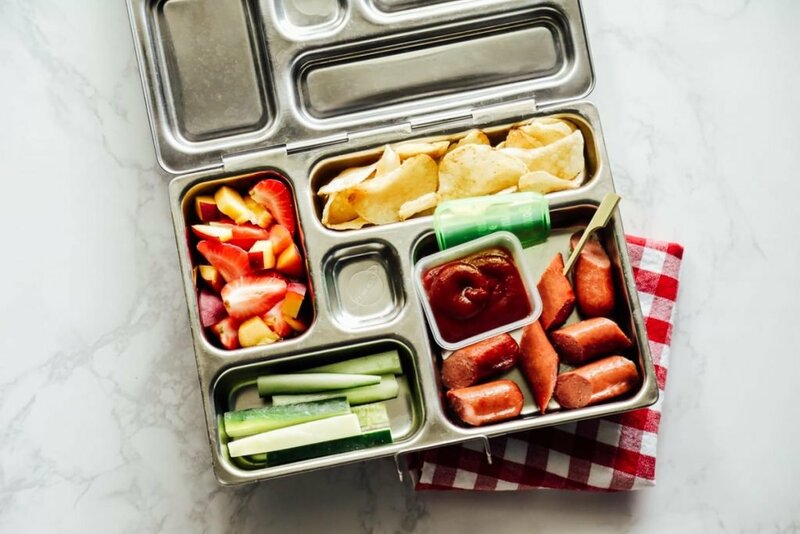 It’s the main lunchbox pictured (the stainless steel, bento-style box). My kids have been using these boxes for 3 years now, and it’s a good thing because they are an investment. 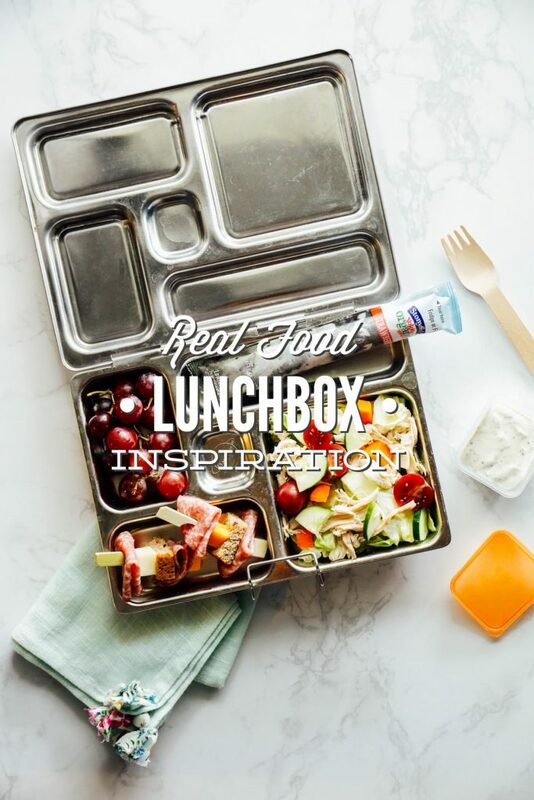 The lunchboxes are well-used and loved, and do have some spots (thanks to our hard water) and scratches, as you’ve seen in the photos. I use the big dipper container for yogurt, applesauce, etc. I just ordered a couple of little dipper containers. The past few years I’ve used the Easy Lunchbox dipper containers. They are plastic and fit in the PlanetBox compartments (pictured below). Any tips on changing the eating habits of 2 freezer food/fast food loving toddlers? Hey Brooke, My best advice is exposure and consistency. Toddlers are still young little people, so parents and caregivers are still very much in charge of food at this age. Avoid the drive thru and stick to making the kiddos favorites at home. If they love chicken nuggets, make homemade nuggets. Mac and cheese? Go the homemade route. Burgers? Make yummy burgers at home. Also offer exposure to other foods. There are many different ways to enjoy something, so offer variety too. 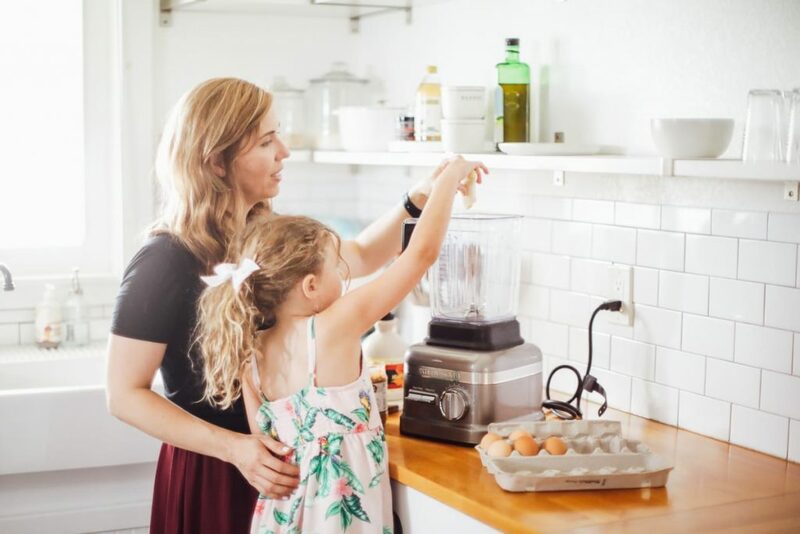 Kids may not eat something at first, but after being exposed to it over and over, they may eventually try it and like it. I’ve seen this numerous times with my kids. As parents and caregivers it’s easy to never serve something again, but doing so only leads to picky eating. Serve a variety of food, in a variety of ways, and balance this with favorite meals. It will take some time, but it’s worth it in the end. And seeing parents and caregivers as role models in this area–eating a variety of food, enjoying meals together with the kids– is a big help, too.